IZ*ONE, the group that returned with their new album, swept the top music charts at home and abroad! "Violeta," the title track of IZ*ONE's second mini-album "HEART*IZ," title song ‘Violeta’ released on various online music sites at 6 p.m. on 1, topped the real-time music charts of Soribada, Mnet, and Genie No. 7 in Korea. The comeback of global K-pop group IZ*ONE, extends beyond Korea to the rest of the world, drawing heated reactions from overseas as well. The second mini album "HEART*IZ" topped the iTunes TOP album charts in Hong Kong, Japan and Taiwan as of 2 (Korean time), while the title track "Violeta" topped the iTunes Top Song charts in Hong Kong, Singapore, Taiwan and Thailand at the same time. n other countries, iTunes album charts and Apple Music album charts, " HEART*IZ" are among the top spots, proving their popularity. The music video for "Violeta," released with the music video, has surpassed 3.5 million views on the official channel in just one day of upload. growing popularity of netizens at home and abroad, the number of views continues to be increase. 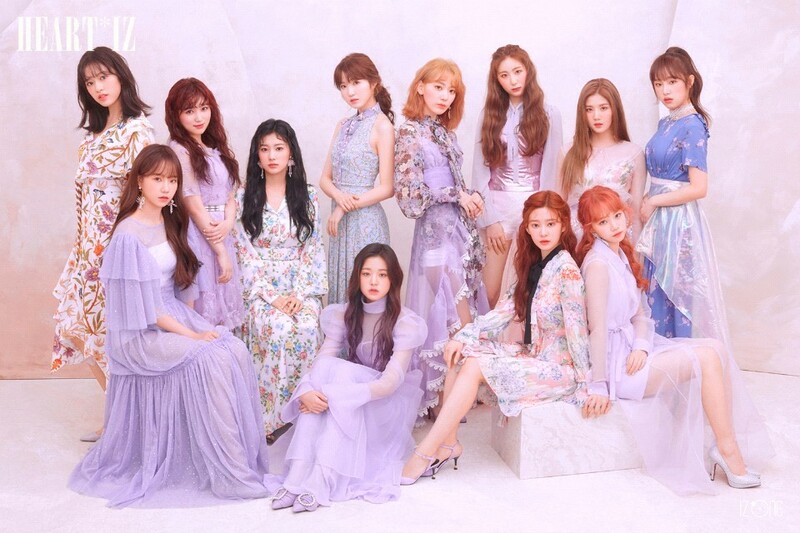 IZ*ONE first released the new song stage, including the title track "Violeta" on "HEART TO," a comeback show that aired simultaneously around the world through M2, Mnet KPOP, Stone Music Entertainment YouTube channel and Naver V LIVE channel from 7 p.m. on last 1.